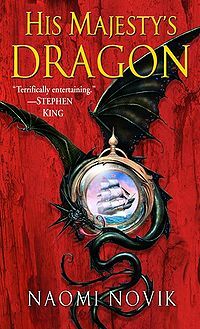 This entry was posted in Fantasy, Fiction and tagged His Majesty's Dragon, Naomi Novik, Temeraire, Throne of Jade. ← Please don’t talk to me, middle seat person. I’m reading. I had never even heard of these books, but you make them sound great. History! Dragons! I’m putting them on my list. I’m happy to be able to introduce them to you. They are fabulous. I keep thinking that I would absolutely love these, but then periodically I’ll pick them up from the library, and the language is just a touch too florid for me. I might try them again, though. The premise really does sound awesome. Yeah, the writing is quite florid. Which I enjoy, but even I can only read so much of it at a time. Hmm, I’ll check these out. I’ll seriously low on reaidng material at the moment. 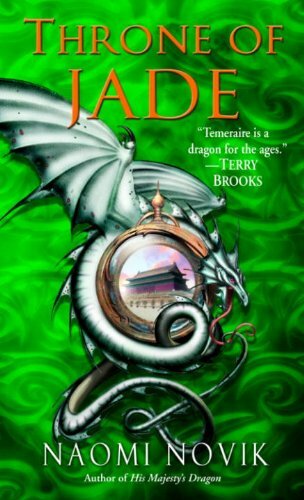 I’ve read a few good books recently which I will try and post up here later on Damn you re: Kylie Chan. Damn you.